Welcome to the premiere of Millennials! 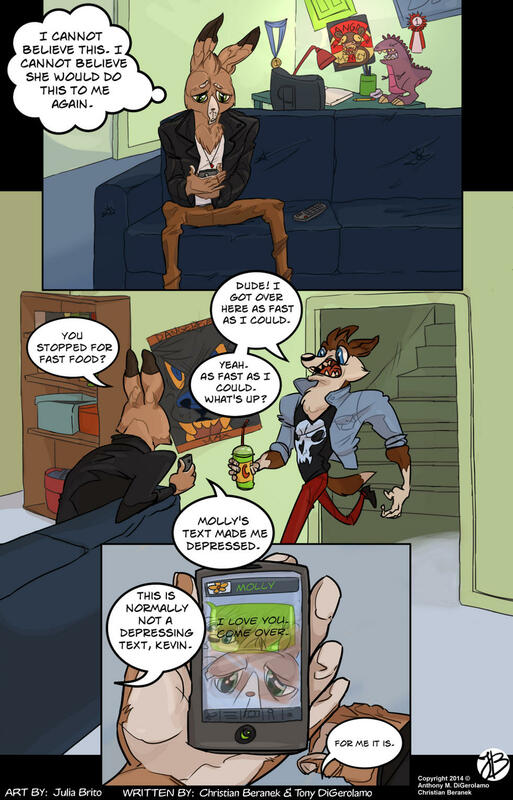 It’s our first anthropomorphic comic and we got all the drama and teen angst you can handle! Drawn by Julia Brito and written by Christian and me! We originally talked about doing it as three panels, but three panels wasn’t enough to contain Millennials’ might! So expect full page and color!